You can add and delete users at any time, with any account plan. Once you're logged in to your account, go to your account settings, under the Users tab, and click on the “new user" button. Type in the email of the user you want to add. 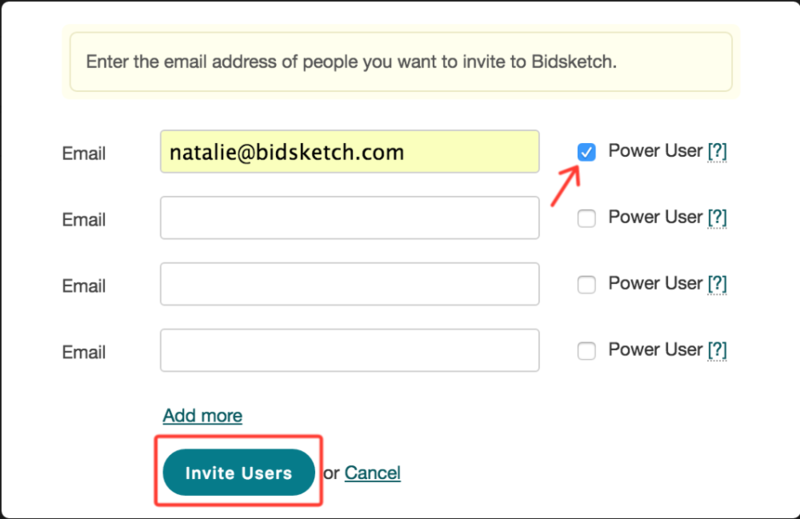 If you want to designate them as a Power User, check the Power User box. Then click “invite users." They will then get an email invitation where they can set up their login information. To delete a user, click on the link that says, “delete" next to their name, and hit “okay." Note that any proposals that user has created will have to be reassigned to another active user before they can be deleted.